It seems as though the moment the leaves on the trees begin changing colour, cafes start rolling out new Fall concoctions with the ambition of warming our hearts (and hands) in the cool, Autumn weather. Fall happens to be my favourite season, and with good cause, too. School supplies litter store shelves, you can finally start jumping into piles of crisp leaves again, and suddenly beanies are everywhere to be found. Fall is also the season in which exaggerated trends like Starbucks' Pumpkin Spice Lattes take over Instagram accounts everywhere. I used to be a huge fan of salted caramel hot chocolates and cute, Fall-flavored frappucinos; who doesn't love a good sprinkle of cinnamon or nutmeg on their coffee? But somewhere along the way, the typical hot chocolate and latte trends began looking pretty dull, like a car that's lost its new-car smell. Not to mention, many brand-name cafes like Starbucks fill their drinks with processed sugars, artificial sweeteners, fake whipping creams and weird syrups that somehow taste like pumpkin or chai without ever having had any business with natural flavouring. To combat my dreary outlook on what I refer to as "hot chocolate season," I started rooting around online and in local independent cafes for neat alternatives to hot chocolate or, at the very least, recipes for beverages I could make on my own at home. Not being overly impressed with the selection of generic-but-with-a-caramel-twist drinks "on tap" at local cafes, I was rather shocked to find a pretty cool selection of alternative recipes online. I've made each one, sometimes with great success, other times like a trainwreck - but one thing has become abundantly clear to me: I'm over generic hot chocolate. I've put together a small but delicious list of recipes for hot chocolate alternatives that can easily be made vegan if you swing that way. Hot tip: almond milk is a wonderful substitute and makes hot chocolate and other warm beverages taste so yummy. This is the first of two drink recipes I made recently from Local Milk. I may have tweaked both a little bit when I made them, specifically this beverage - I left out the "iced" part and drank it hot. But nonetheless, this recipe fromLocal Milk was absolutely delicious. Lots of work? Yes. Totally worth it? Absolutely. I love the combination of rose and cardamom, with their floral and sweet yet savoury flavors. You could easily modify this recipe to make it vegan, as I did, by using plain, unsweetened almond milk - but I'm sure it tastes wonderful when made with regular milk, as well. Rose water was one ingredient I left out, as I made this recipe on the fly recently and don't happen to have rose water kicking around. I did, however, have a handful of rose petals from a culinary boutique near my home and they added the perfect floral touch - and flavor - this latte needed. 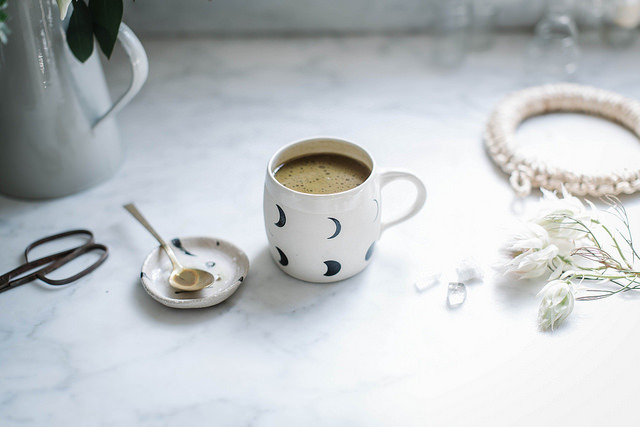 Cold or hot, this drink was perfect for keeping me warm and cozy when the weather here began turning chilly, and I highly recommend giving this recipe a go. The second of the two recipes I tried, the Golden Milk Cocoa recipe from Local Milk was certainly an experience. Never having made a hot beverage with turmeric before - but being well acquainted with the spice thanks to years of watching my father cook homemade curries in our kitchen - I was slightly wary of what it would taste like when heated with milk. I followed this recipe to the t, with the exception of the ashwagandha powder, which I simply didn't have. I chose to replace that powder with a small spoonful of matcha powder and the cocoa turned out surprisingly yummy. After making both beverages, my kitchen was a mess, leaving little time to snap photos after having to clean up the disaster zone. However, as you'll see from Local Milk's imagery, these drinks make both delicious tasting, and looking, alternatives to the typical cup of hot cocoa. A friend introduced me to this blog for its beautiful, yummy and approachable vegan recipes, but the only recipe I've ever actually made from Minimalist Baker is the Mexican Hot Chocolate. Not being a stellar baker or cook myself, I forewent the coconut cream and stuck with the super-simple hot chocolate recipe for a Mexican hot cocoa beverage that was insanely good. Not too sweet, not too spicy. I've already made this three times in the last two days (I'm a bit obsessed) thanks to the simplicity of this recipe, which allows you to whip together a delicious hot chocolate in so little time. 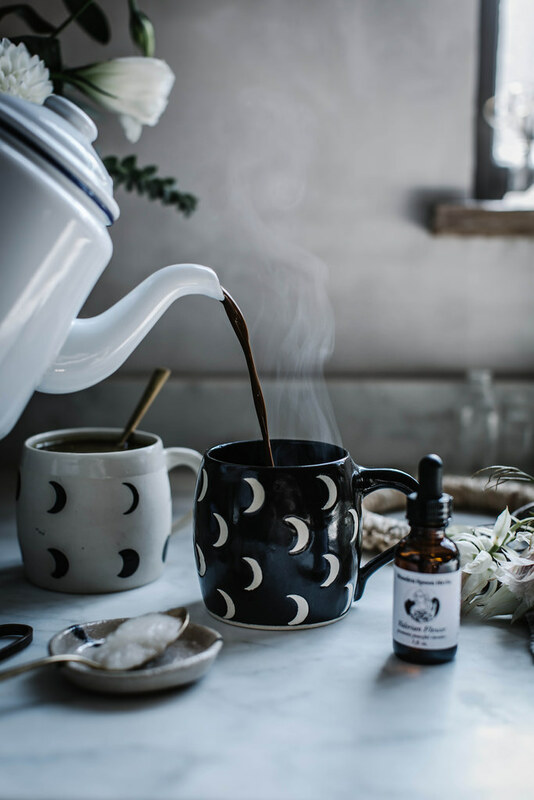 If you have all of the ingredients on hand, including the agave (something I use frequently as a natural sweetener for herbal teas) please give this recipe a try. You seriously won't regret it; in fact, you'll probably end up making it more often than I do. This might be breaking my no-hot-cocoa rule a bit, but in my mind, this awesome twist on hot chocolate is totally worth it. Undoubtedly the most complicated recipe of the bunch, the Chai Tea Latte recipe from Crazy Vegan Kitchen was, nonetheless, ridiculously delicious. Warm, spicy, sweet, savoury and just what I needed on a rainy day. This recipe consists of making a chai syrup first, then whipping up the latte part after. What surprised me most about this recipe was the fact that I actually had everything already on hand to make this. My family cooks with several different spices almost every day - especially my father, who is a fan of Indian cuisine and tends to have a large supply and selection of spices and herbs around our home. 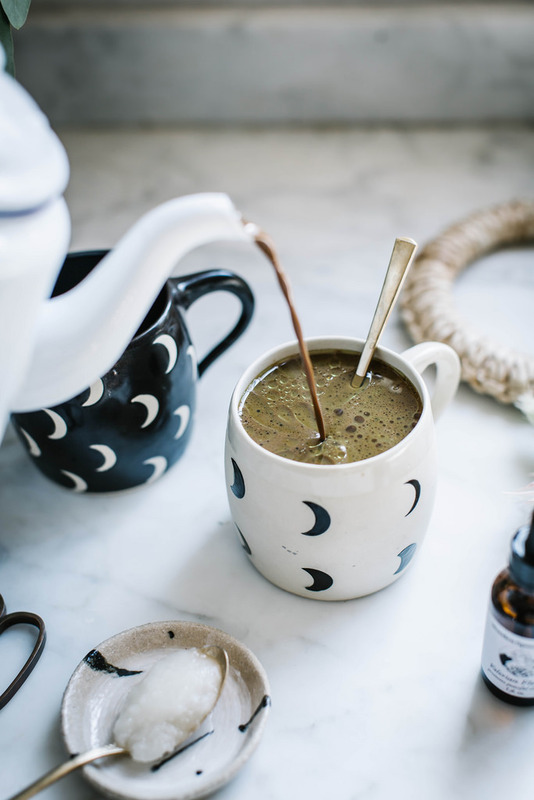 This Chai Latte in particular called for Almond Milk (it's a vegan recipe) but even if you're not vegan, you'd probably enjoy the rich, nutty taste the almond milk lends to the latte. This is, hands down, the perfect rainy-day drink and totally beats out hot chocolate.